I need to reset the AMT Password on an Intel Q or B Series Motherboard. How can I do this? 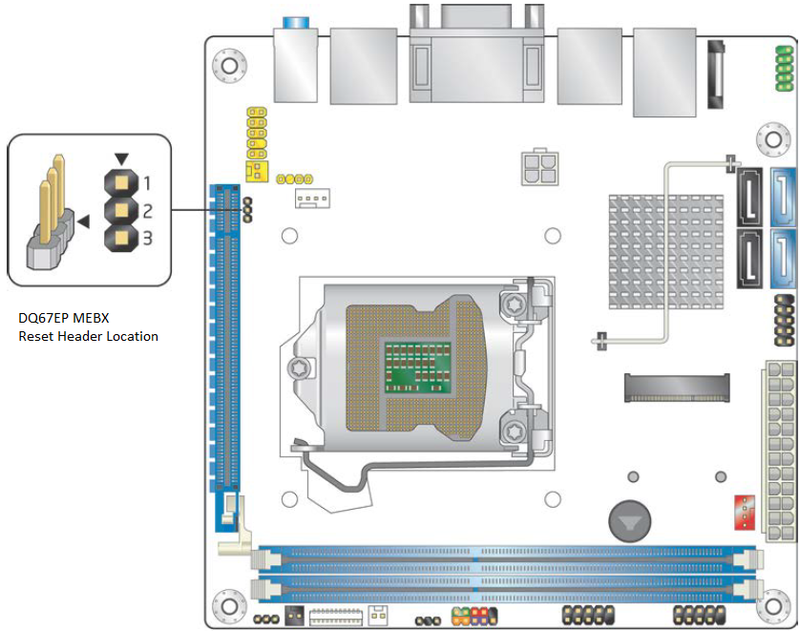 Intel Q Series desktop motherboards contain AMT functionality. AMT functionality and settings are not cleared by resetting the main CMOS by loading BIOS defaults. 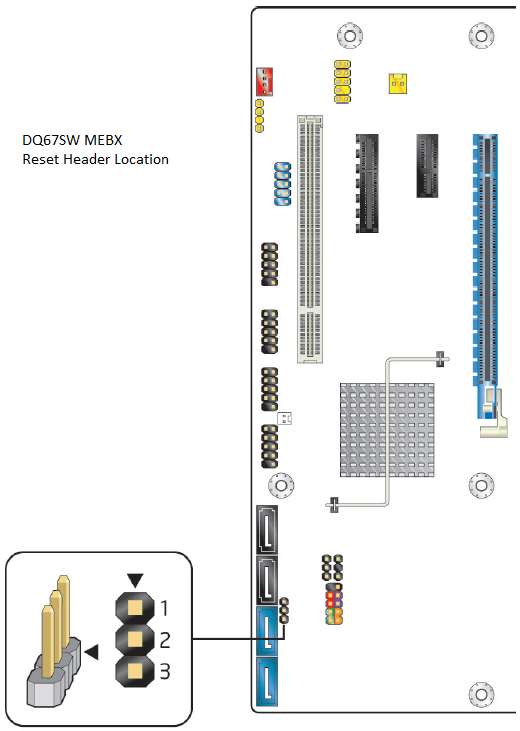 Intel B series boards can also have AMT functionality and again the AMT settings are not cleared by resetting the main CMOS by loading BIOS defaults. To clear the AMT settings, either perform a full manual settings clear or using the dedicated MEBX (Management Engine BIOS Extension) Reset Jumper. 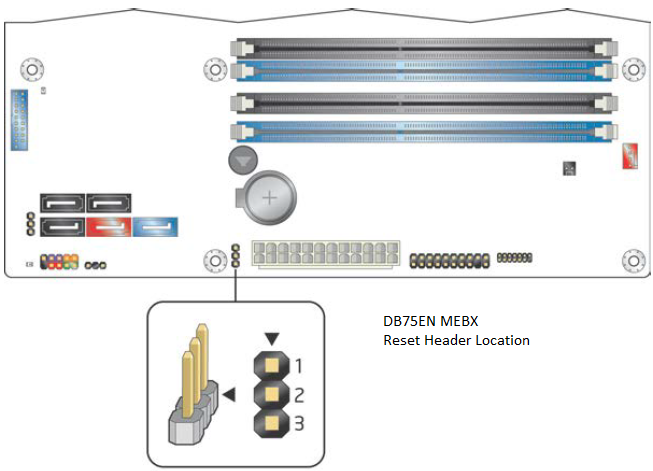 Locate the MEBX Reset Header (see diagrams below). Shut the system down and disconnect the AC mains. Short pins 1 and 2 of the header together for 5 seconds. Test that the password has been cleared. 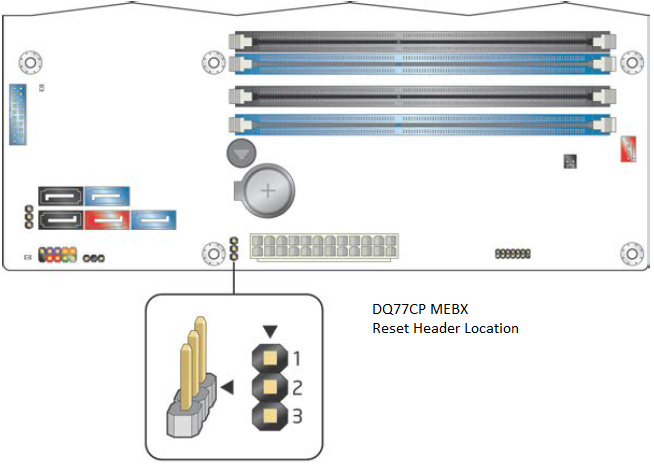 Note: Do not leave the AC mains connected whilst shorting the MEBX reset header. 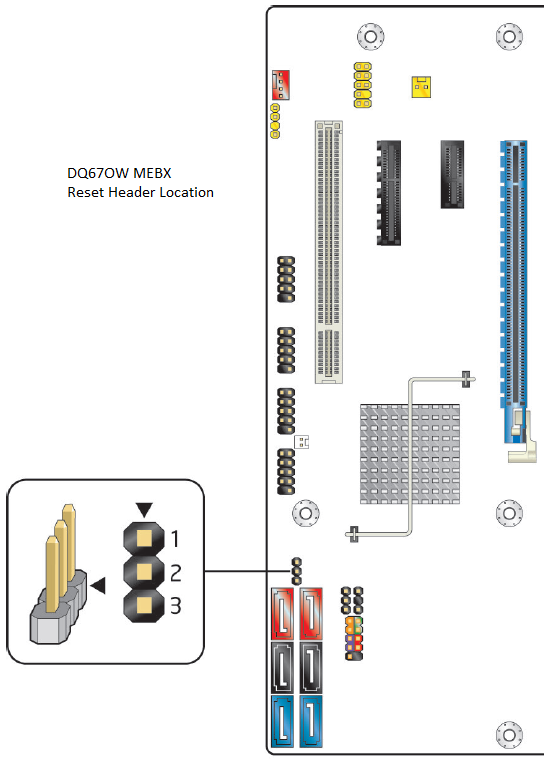 Do not have the system switched on whilst shorting the MEBX header as you may damage the motherboard. Short the battery terminals on the motherboard together for at least 10 seconds. Reinstall the CMOS battery, observing the correct polarity. After clearing the settings using either method, the AMT default password of admin should be restored. Intel DQ77MK - My Stone Computers PC system has two LAN network ports. Which one should I use? How do I deploy Intel vPro AMT (Active Management Technology) functionality?